Can you believe that the holiday season is literally around the corner?! 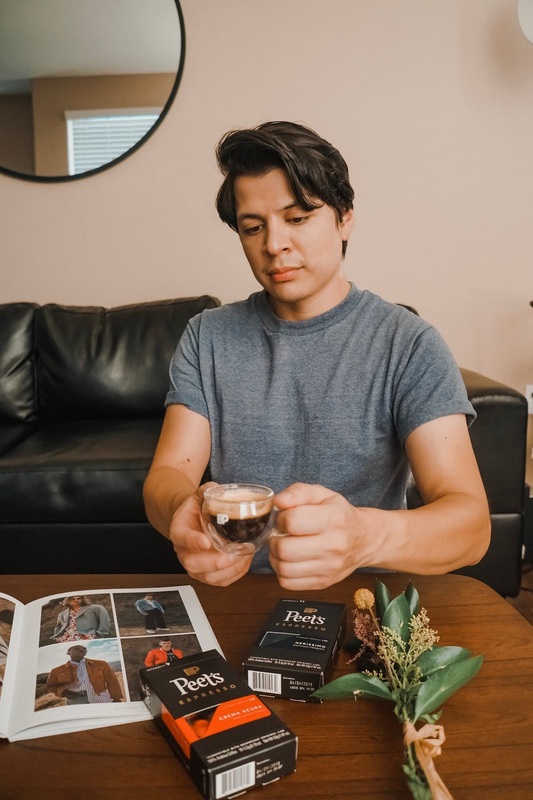 I can’t believe how fast the year went by, and I am more than happy to start the fall/winter season the right way; by staying warm with a cup of Peet’s Espresso! 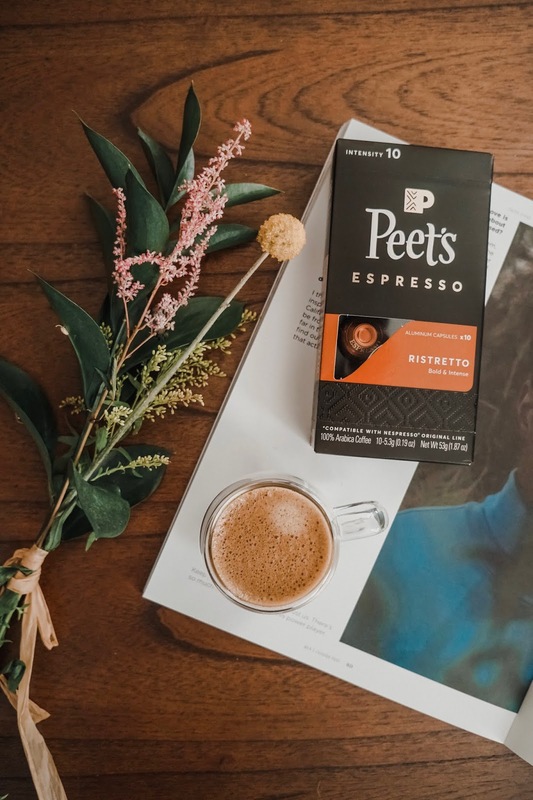 Believe me, you will never experience a better at-home espresso than Peet’s Espresso Capsules. Conveniently compatible with the Nespresso Original machines*, you too can indulge into a whole new level of dark, rich and intense cups of espresso without leaving the comfort of your own home. 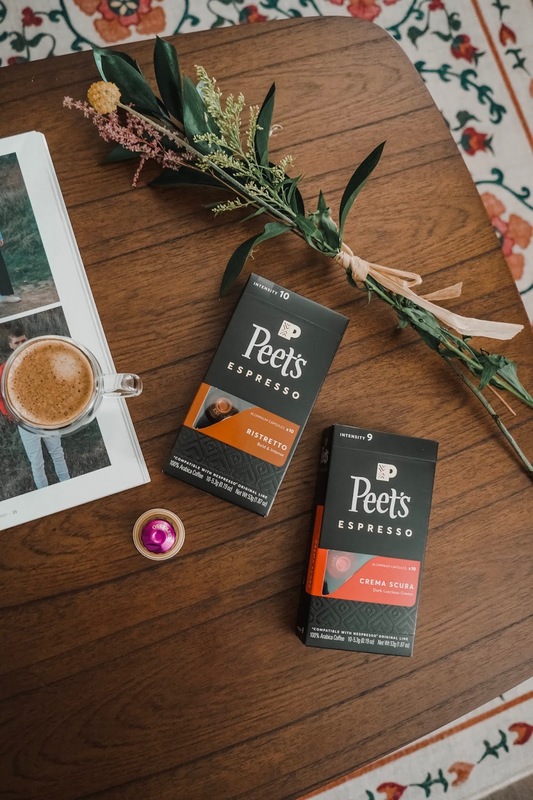 Peet’s Coffeee Espresso Capsules are the perfect morning pick-me ups! 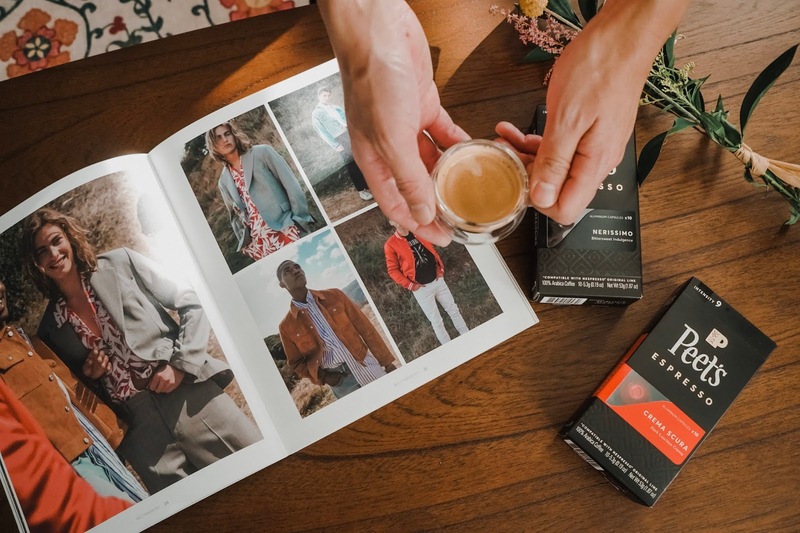 Just pop a capsule on your Nespresso machine and enjoy a delicious and energizing espresso. These past few mornings I’ve been brewing Peet’s Ristretto capsules. 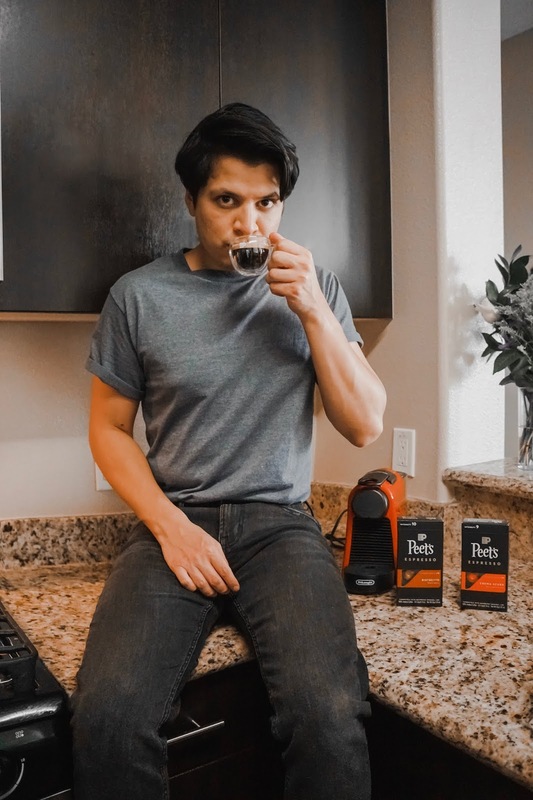 At Intensity 10, these capsules have a bold & intense flavor; your espresso has a rich chocolaty flavor, along with hints of crushed spice and smooth notes of fruit. Oh, and a cup of espresso brewed with Peet’s Espresso Capsules keeps me up and going for hours! 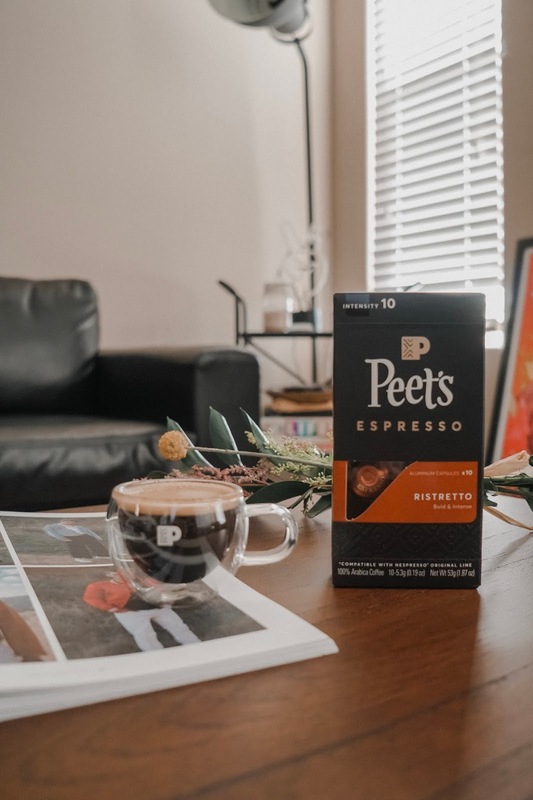 I’ve had a few guests at my place; and I love to catch up with them in my living room and getting cozy with a warm and tasty cup of Peet’s Espresso. I feel so excited to make my guests feel like they’re at a coffee shop; sipping on freshly made cups of espresso. Really, Peet’s Coffee makes my guests understand that I care for them, and I want them to enjoy themselves while they’re at my place. Get your espresso game going! Peet’s Coffee Espresso capsules are available at Target, Amazon, and Peets.com. This post is brought to you in partnership with Peet’s Espresso Capsules.